for $319,900 with 3 bedrooms and 2 full baths. This 2,150 square foot home was built in 1977 on a lot size of 16177.00 Sqft. 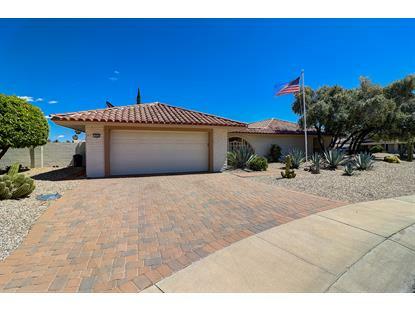 Gorgeous 3 bed 2 bath remodeled home with pool on oversized corner lot in Phase3 of Sun City! Upgrades include: fresh 2 tone paint, updated kitchen, granite countertops, beautiful stainless steel appliances, stunning tile floors throughout, updated lighting, and more! High end front loader washer/dryer included! 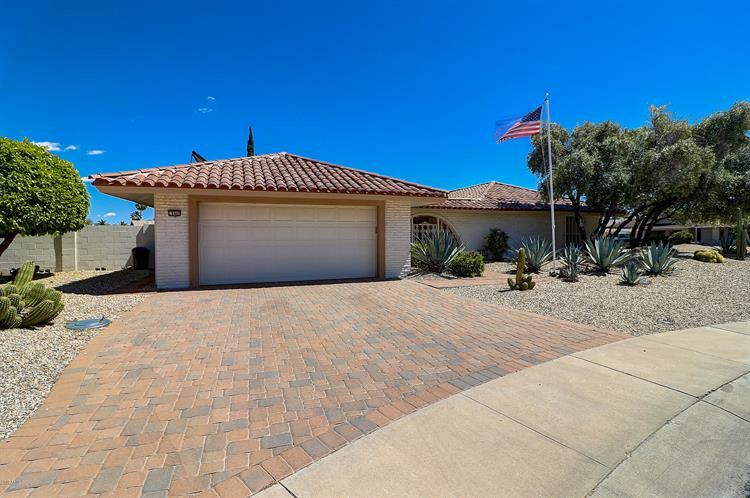 Other features include: paver driveway, tile roof, wood burning fireplace, dual walk in closets in master bedroom, refreshing pebble tech pool with plenty of privacy, newer pool equipment, solar for hot water heater, gorgeous low maintenance desert landscaping front and back, fenced in backyard and an enormous covered patio! Nothing else like it available in the area! Priced to sell. This will not last! Proximate to freeway access, shopping centers, restaurants, & more!